All the recent talk about Kubota has been about more powerful tractors. It is less well known that the company has just entered the trailed sprayer market. Launched by Kverneland last year, the XTS3 range, as the orange versions are known, currently consists of two models; the XTS326 (2,600 litres) and XTS332 (3,200 litres). Suitable for small to medium-sized mixed farms, the choice of booms includes steel (18.0-30.0m) or aluminium (21.0m-24.0m) versions. 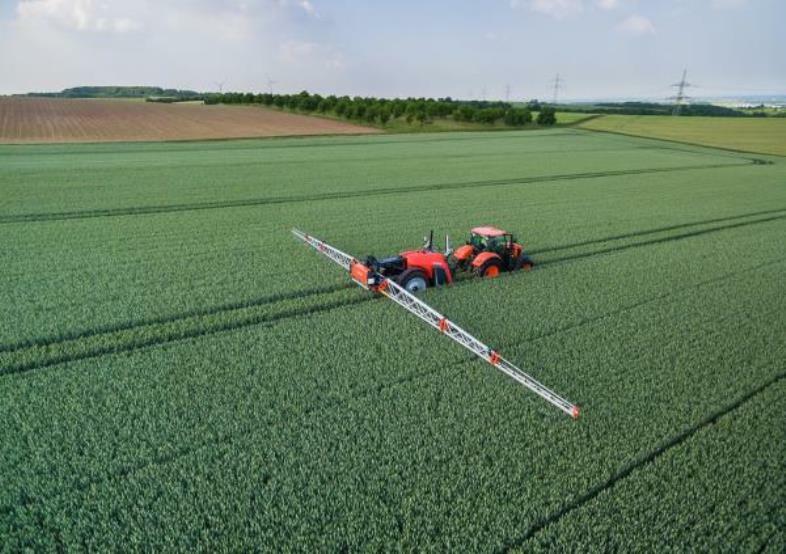 Both types can be equipped with the optional iXflow spray line recirculation system, and when fitted with the iXclean Pro automatic valve management system all functions can be controlled from the tractor cab. The riveted design of the single central frame is claimed to be better suited for faster field and road speeds, and axle-steering, rather than drawbar steering, is said to improve stability in hilly fields. The single central frame and parallelogram arms provides enough space for 1.90m high tyres, and the adjustable axle allows the track width to be altered in 50mm increments from 1.50m to 2.25m. The transport dimensions are 2.55m (width) and 3.20m (height), and the standard spec includes a 340-litre clean water tank.